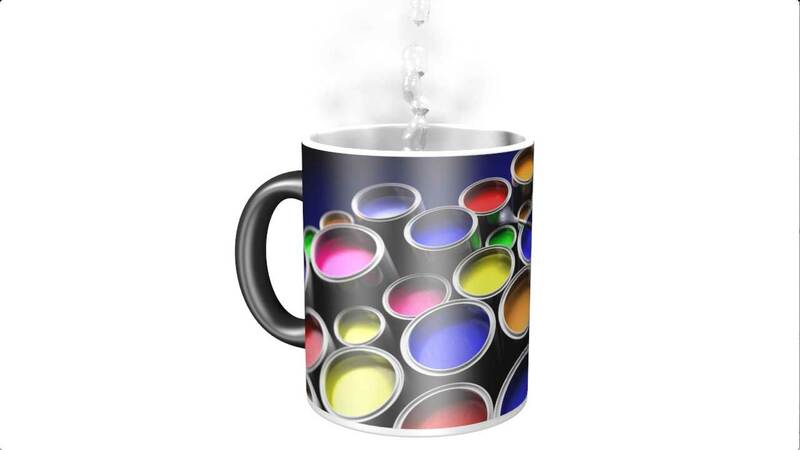 300ml earthenware mug, revealing your full colour design when filled with hot water! The Chamelon mug has a specially formulated heat sensitive thermo-chromic coating, so when hot water is poured into the mug it turns back into its natural white colour, exposing your print underneath and disappearing again as the mug begins to cool after use. Novel give-away which is sure to always be a talking point. Recommended for hand washing only.